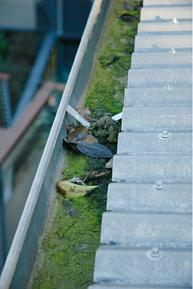 Weatherfix specialise in all types of industrial and domestic gutter cleaning. We can be on site within 24 hours upon first contact with the client and clean, repair any type of gutter to prevent further damage to stock and equipment. Weatherfix will also inspect and assess all gutter joints, outlets, downpipes and roof coverings for damage and report to the client with a free quotation for remedial works. Regular term maintenance can also be provided for roof and gutter cleaning at a fixed price to insure all water systems flow freely and affectively.